Atletico Madrid host Girona in the second leg of a Copa del Rey fifth round tie on Wednesday, with the scores level at 1-1 from the first meeting a week earlier. Antoine Griezmann's opener was cancelled out by an Anthony Lozano equaliser on that occasion, with little to separate the two sides. The two teams also drew by the same score line when they met in La Liga earlier this season, with much to suggest that Wednesday's encounter will be another tight affair. 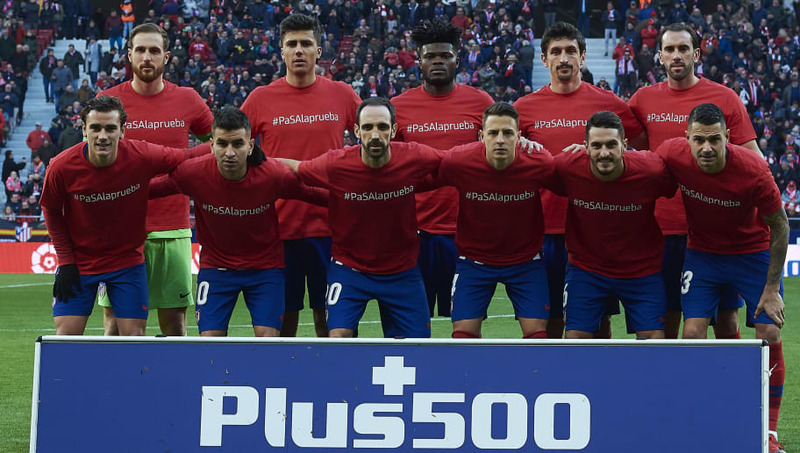 Here is a selection of the strongest potential Atletico Madrid lineup to secure Los Rojiblancos' passage to the next round of the Copa del Rey on Wednesday. Antonio Adan (GK) - Jan Oblak remains Atletico's undisputed first choice in goal and one of the finest shot stoppers in Europe, but Adan has been given opportunities in the cup by Diego Simeone this season and is set to continue that run on Wednesday. Santiago Arias (RB) - Atletico are facing a number of defensive injuries ahead of Wednesday's game but remain well stocked at right back, and Arias is likely to keep his place with the veteran Juanfran rested. Jose Maria Gimenez (CB) - Stefan Savic was replaced after just nine minutes during Atletico's 1-0 win over Levante on Sunday. Gimenez replaced the former Manchester City defender in the La Liga clash and is set to keep his place from the start on Wednesday. 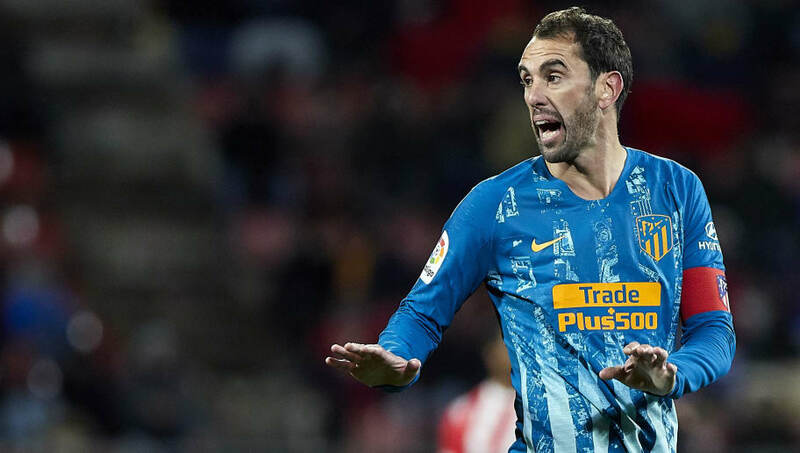 Diego Godin (CB) - As Atletico's only real ever-present at the back this season, Godin's presence at the heart of defence is as crucial as ever for Simeone's side and will likely be required to lead the back line once more against Girona. Saul Niguez (LB) - With both Lucas Hernandez and Filipe Luis still injured, Atletico remain without either of their senior options at left back. Saul missed out on his side's win over Levante on Sunday but could return to offer a more natural left footed outlet in the position. 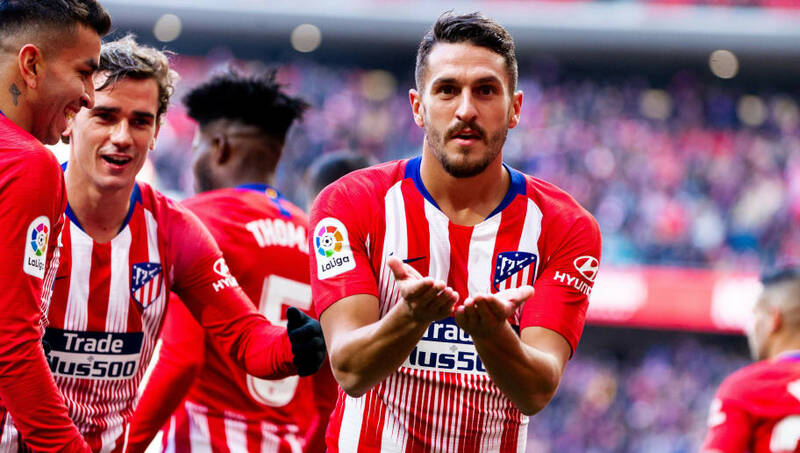 Koke (RM) - Having been as integral as ever as a creative outlet from the wide areas for Atletico this season, Koke is set to continue to operate from the right flank, particularly with Gelson Martins still injured. Thomas Partey (CM) - Koke's stationing on the right hand side of midfield and Saul's make-shift switch to left back leaves Atletico short of depth in central midfield, meaning that Thomas is set to continue offering his side's primary source of power and athleticism in the middle. Rodrigo Hernandez (CM) - Arguably Atletico's signing of the season, Rodri has established himself as a vital figure in central midfield for his new side since arriving from La Liga rivals Villarreal last summer, assuming the technical role previously held by former captain Gabi. Thomas Lemar (LM) - Having endured a rather less straightforward adjustment to his new club this season, Lemar has not always been the first name on Simeone's team sheet since completing a summer move from Monaco, but his pace could be key to breaking down Girona. 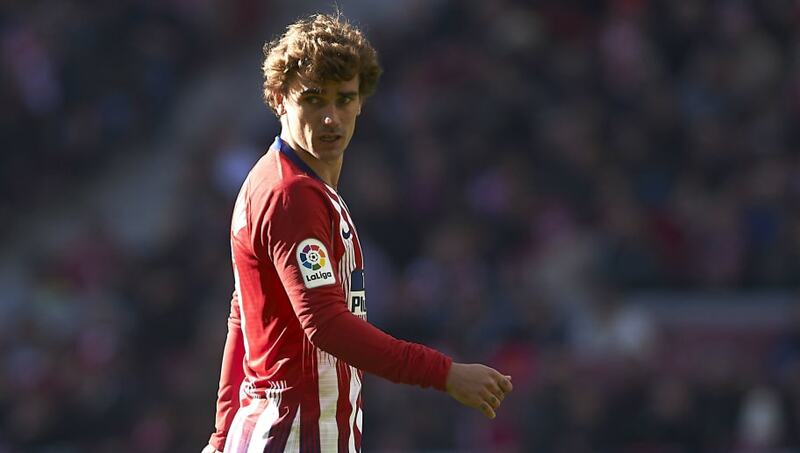 Antoine Griezmann (ST) - Having scored all of his side's last six goals in all competitions, including Atletico's winner against Levante on Sunday, Griezmann's star power is as crucial for Diego Simeone's side as ever. The Frenchman will surely be Atletico's biggest goal threat once more. Nikola Kalinic (ST) - Another summer signing who has not always been guaranteed his place in Simeone's side, Kalinic has enjoyed more frequent game time since Diego Costa suffered a long-term injury, and is likely to replace Angel Correa in attack on Wednesday.